For those who suffer from aches and pains, or sleepless nights, and are looking for a new state-of-the-art bed experience that provides not only comfort, but a great place to sleep, rest, work and play, then look no further. 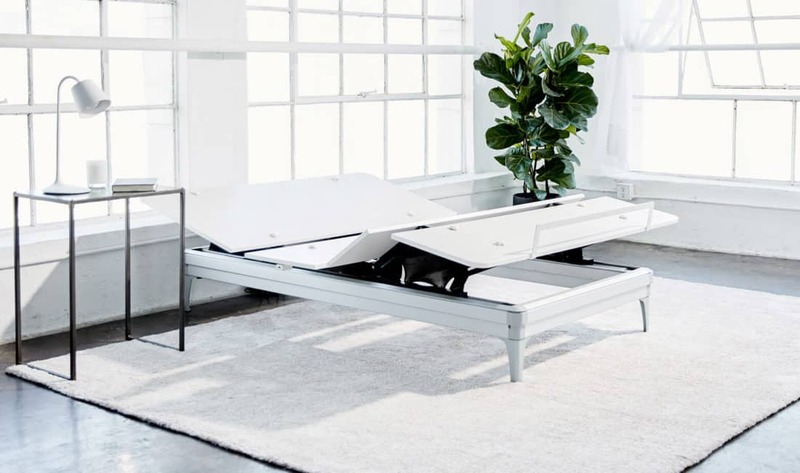 The Yaasa Adjustable Bed is the most stylish innovation to hit the market this year, and the great news is this stylish base can work with your current mattress, which makes it an amazing enhancement to your overall bed experience. The even better news is that this September Yaasa is offering a ONE TIME ONLY promotion that means with every Yaasa Adjustable Bed purchase you get their exclusive Yaasa ONE mattress absolutely FREE (value of $800). When it comes to pain relief, productivity, and a great night’s sleep, the Yaasa Adjustable Bed can adjust to your preferred position at the touch of a button, and make you feel the most at ease and supported in bed you have ever been. With all the various size and firmness of mattresses online today, The Yaasa Adjustable can complement and enhance any mattress perfectly in a multitude of ways. With the introduction of their new Split King configuration, you can truly rise to the occasion and adjust accordingly to your own individual needs, or sync with your partner whenever you need. The Split King selection provides individual ease of use and full control of your own various reclined positions. The Split King Yaasa Adjustable Bed provides an experience that you and your partner can enjoy either together, or separately. The great thing about the Yaasa Adjustable Bed is that it provides a simple solution to problems you didn’t even know you had. Releasing that troublesome stress, supporting your circulation, alleviating snoring for a more peaceful night, elevating your head, neck & shoulders to read, work, or watch your favorite movie, and of course, the all-important soothing pressure relief at preset positions. Your bedtime just became a lot more productive. By adjusting to a relaxing position with your laptop or tablet you can work in a position that alleviates tension and makes for a much more pleasant work environment. All you need to do is adjust the bed’s position, lie back, and get some work done. Wall Sliding Technology: This technology allows you to reach your nightstand whatever position you may be in. USB Outlets: These outlets are available on both sides of the Yaasa Adjustable Bed, so you won’t have that annoying morning ‘low battery’ alert, ever again. Wireless Remote: A sleek, hi-tech, light-adjusting LED backlit wireless remote syncs with your bed to make changing positions simple and life changing. One Touch Flat Sleep: Just a touch of the button and the bed instantly levels to flat position, no need to hold down, simply touch and sweet dreams. Under-Bed Storage: With its clean design and lack of wires and machinery, there is optimal space for ample storage. Mattress Compatibility: Whether it’s a King, or a Queen sized mattress, the Yaasa Adjustable Bed works with most modern mattresses and bedframes. Or maybe it’s time for a new hybrid mattress? Simply go online to Yaasa.com to check out the free mattress (value of $800) promotion. Limited Time Only. GO ONLINE TODAY TO PURCHASE THE YAASA ADJUSTABLE BED AND GET THE YAASA ONE MATTRESS ABSOLUTELY FREE! THE ULTIMATE ALL-IN-ONE BED EXPERIENCE. THE YAASA ADJUSTABLE BED. FREE DELIVERY. 10 YEAR WARRANTY. UNLIMITED COMFORT.